Let me start my saying that I got seriously hooked on this book right from the first glance. Everything in this story is so beautiful and done so perfectly. The cover is stunning, the blurb intriguing and the story flow expertly done. This book came as a complete surprise and had me falling headlong in love with the story and the characters. A sister who takes upon herself to vet the man intended for her sister falls in love with him herself is a theme that had me uncertain whether I would like it or not. But the story is so much more than seems to the eye and I am sure it will have you falling in love with it as much as it did me. I loved each second spent reading this book and loved all the characters in the book. Prudence is headstrong and loyal to a fault to people she loves. Brand is everything I want in a perfect hero. He is dutiful, strong and pleasantly imperfect with a heart of gold. I enjoyed the chemistry between these two and it has been sometime since I loved a book couple as much as I loved this one. Each scene is memorable and had me sitting spellbound throughout the book. The author shows her writing prowess in her character development where she justifies the actions of even the seemingly villainous characters thereby making them seem real with their imperfect natures. The suspense and well placed twists and turns made this story a very memorable one for me and I know I will be returning to re-read this book many times in the future. 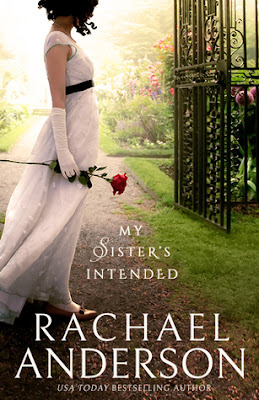 Eager to know what happens to the many supporting characters in this book, I know I will be keeping a lookout for the successive books in the Serendipity series by Rachael Anderson. All in all, My Sister's Intended by Rachael Anderson is a through and through entertainer with a clean, wholesome romance suited to all age groups, a well crafted story with equal measure of each emotion and characters that will soon make a place in your heart. 5 super shiny stars to My Sister's Intended by Rachael Anderson, Njkinny recommends this book to everyone. I received the book for review and the above is my honest and unbiased opinion. 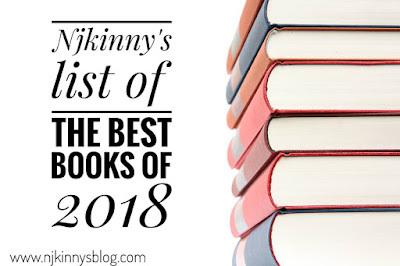 My Sister's Intended is a proud placeholder in Njkinny's List of The Best Books of 2018.